The commissioners unanimously agreed to pay half of the last installment owned to Bishopville contractor Allen Myers for work at the county’s central landfill facility. Tustin discussed the matter with Darl Kolar, project manager of EA Engineering, Science and Technology, Inc., PBC, an environmental consulting firm in reference to the project’s timeline. The Worcester County Cell Five project was expected to be completed on Dec. 3, 2018, but it wasn’t actually finished until January 11, according to a letter Kolar sent to Tustin. Tustin and Kolar agreed on the recent and significant rainfall plaguing the county, which reportedly delayed construction efforts. Kolar also noted Allen Myers requested to work seven days per week from 7 a.m. to 7 p.m. in an attempt finish in a timely manner. “It is in EA’s opinion that Allan Myers made a viable effort to maximize effort to complete the project on schedule,” Kolar said in the letter. Commissioner Joseph Mitrecic moved to go with Tustin and EA Engineering’s recommendation, which Commissioner Jim Bunting seconded. The county commissioners voted to approve participation in environmental program funding. Department of Environmental Programs Director Robert Mitchell recommended the county commit to match $550,000 in funding for the Maryland Coastal Bays Program. The matching would be part of the Environmental Protection Agency’s Estuary grant funding program from Oct 1 to Sept. 30, 2020, according to the proposal. There would be $50,000 in Department of Natural Resources Resiliency Grant Funds, as well as a minimum of $500,000 from the state in Rural Legacy Area funding for fiscal year 2019, according to the proposal. Both are available during the aforementioned timeframe. Mitrecic moved to approve the matching request and Commissioner Joshua Nordstrom seconded the motion. The vote was 6-1, with Commissioner Ted Elder dissenting. 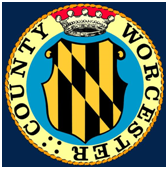 The Worcester County Commissioners unanimously voted in favor of a proposed 2019 mosquito control budget. The proposed county seasonal funding was $83,940, with $65 collected from each residential household, according to a proposal. Commissioner Bud Church moved to approve the fiscal year 2019 budget, and Commissioner Bertino seconded it.